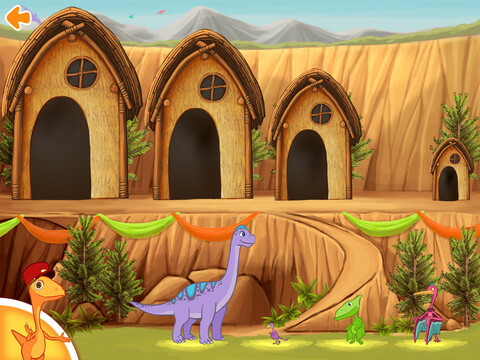 Dinosaur Train Classic In The Jurassic Jr. App Review – All Aboard! Time for a confession: Dinosaurs totally freak me out – I haven’t been the same since I watched “Jurassic Park”. (Although I wasn’t freaked out enough NOT to watch the next two movies in the series, go figure.) Yes, I’m a grown-up, and yes, I know that it isn’t feasible (or is it??) for dinosaurs to once again rule the earth. But still, I remain petrified – pun intended – by the thought of the scaly giants meandering Earth, with their long necks and tiny T-Rex arms. My kids, however, are not scared of dinosaurs; mainly because their exposure consists of Jim Henson’s animated PBS series, Dinosaur Train. 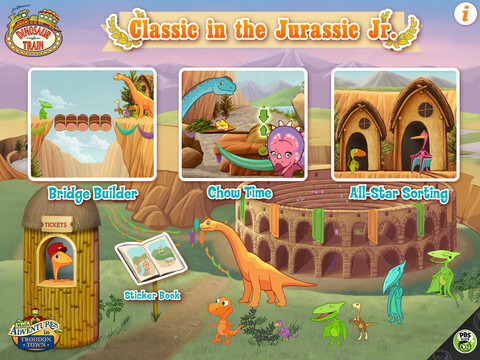 The newest companion app to the show is called Dinosaur Train Classic In The Jurassic, Jr.! and it’s sure to delight the dinosaur connoisseur in your house. 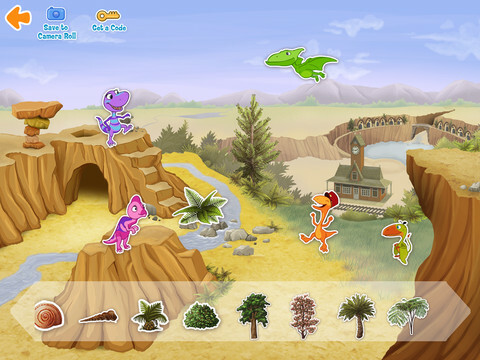 Math skills are taught through three different mini-games in which players must weigh out food, build a bridge, or sort dinos by size. With the completion of three rounds of each game kiddos earn a sticker for their sticker page. This can be saved to the iPad to be e-mailed and shared. Sticker mode also gives a website address that links to Dinosaur Train games on the PBS website. Enter the code given and you can see a “secret” scene comprised of the show’s characters. My son (he’s 5) and I sat down to play this game together. He hasn’t quite mastered early math skills so I had to give him some subtle hints on the bridge-building game. The feeding game was quite easy; he had to balance the dino food with a rock, and he learned quickly through trial and error. Sorting the dinosaurs was another example of learning as he played and soon he was sorting like an amateur archaeologist. Once again, PBS has extended their reach from the television to the digital world of the iPad, and made an app that encapsulates the core values of the PBS organization. Fans of the series will really enjoy learning early math skills with this fun app. Younger players might need a little guidance but the user interface is simple to navigate and age-appropriate. There’s no doubt that this is truly an iPad Kids All Star app.